The Ripple Dishcloth Collection by Now Designs boasts a unique ridged design, which makes this dish cloth versatile, absorbent and unmistakably Now Designs. Each and every Ripple Dishcloth is made from 100% cotton in Turkey, a region recognized for expertise with cotton and textiles. The Ripple dishcloth is designed to handle any washing or drying task. Use Ripple Dishtowels for scrubbing pots, pans, plates, cutting boards, or for drying delicate stemware. The Ripple Dishcloth's versatility and durability will quickly make it a go-to favorite in your kitchen. The Ripple Dishcloth is available in a wide variety of color options designed to compliment any decor style. This set includes four matching dishcloths, each measuring 13 inches square. Mix and match dishcloths with Now Designs' beloved Ripple Kitchen towels (sold separately on Amazon). 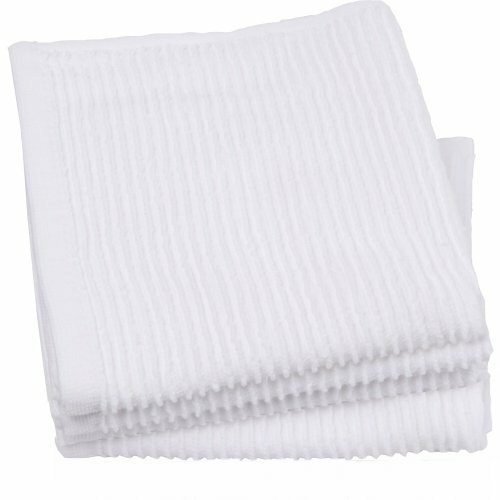 All items in the Ripple Kitchen Towel and Dishcloth collection are machine washable. The Ripple Collection is proudly designed and made by Now Designs, who for 50 years has created exclusive home and kitchen products with style and the finest quality in mind.